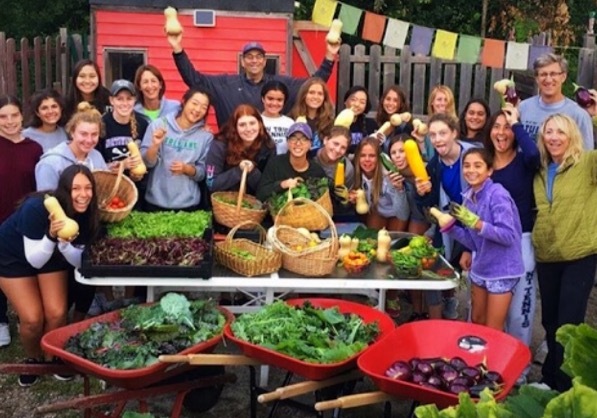 Back in August, the New Trier girls varsity tennis team volunteered at the Glencoe Community Gardens. Back in August, the New Trier girls varsity tennis team volunteered at the Glencoe Community Gardens. The girls performed a variety of tasks from harvesting, mulching, and composting plants to hammering and sawing to create planters. The players divided into teams and each team worked on a different project to help out around the garden. According to senior captain Amia Ross, “some of us were harvesting plants like leaves, peppers, and squash, and some of us were composting. The Glencoe Gardens harvest a large amount of food each year to donate to people living outside the North Shore. Not only did the girls get to give back to their communities, but they also had the opportunity to bond as a team. 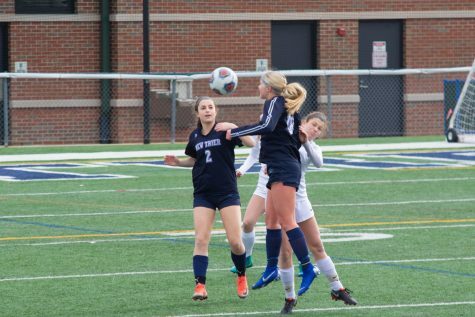 Team activities are really important to get players comfortable both around each other and around their coaches. According to Hall, “We do team building all the time but on or near the courts. Or we have a carb dinner maybe 4 or 5 times a year called a “pump up”. It’s usually after practice. As for the season so far, Hall said, “It’s going wonderfully mostly because the players are good people and they get along with each other and they work hard and they’re fun to be around. 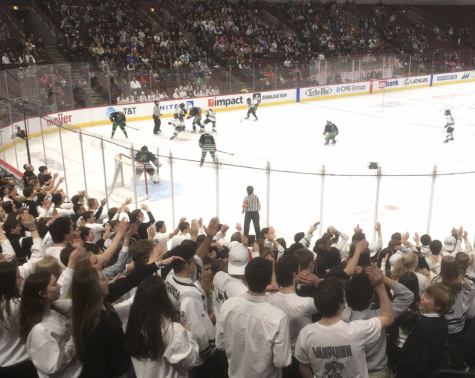 New Trier has to compete with some of their hardest competition just to qualify for state.